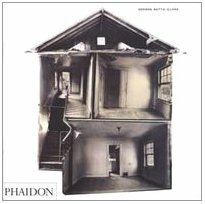 Gordon Matta-Clark (1943-1978) is one of the great heroes of late twentieth-century art, a cult figure as much in the contemporary art world as on the architecture scene, whose work is independent from any movement or school. This book is the first and definitive monograph on the artist, who died at the age of thirty-five. Born in New York and trained in architecture, Gordon Matta-Clark is most famous for his slicing through façades, walls and floors of derelict buildings. This ‘deconstructing’ gesture, provocative and extreme, turns architecture into astonishing sculptures, where the mass of the building is entwined with the light and air that penetrate it. Matta-Clark’s interventions are always grounded in social or political convictions. Some of his projects include opening a restaurant (Food, 1971)in the then-neglected district of SoHo in New York, purchasing at auction fractions of unusable urban land in New York (Reality Properties: Fake Estates, 1973), dispensing oxygen to passersby in the streets of New York from a self-made cart (Fresh Air Cart, 1972), and other visionary urban projects that he conceived as a founding member of the New York-based Anarchitecture group. His practice remains one of the most unique, unequalled, and hugely influential of the past decades. A richly documented essay by Professor Thomas Crow presents new and insightful perspectives on the work of the artist. Also included are original essays by Judith Russi Kirshner and Christian Kravagna, as well as a ‘Documents’ section composed of key unpublished and hard-to-find essays and interviews, compiled by editor Corinne Diserens.